Family matters are not always easy, in fact, sometimes they can be extremely complicated. If you need legal help with marriage, adoption, divorce, custody, death, estate planning, or other family-related issues, we can help. If you are in legal trouble, you need an experienced lawyer that you can trust to defend your legal rights. 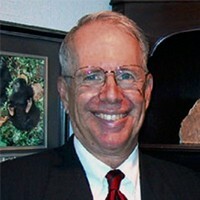 Ed Orr has over 20 years of experience successfully litigating criminal cases in court and he will fight for you. Get Ed Orr on your side. Your case matters to us! As a business owner, father of two college age sons, son of elderly mother Ed has been a tremendous help in all areas, personal, business, etc. Ed has helped with all of my legal issues and has dealt with them promptly and effectively. Mr. Orr was able to secure favorable settlements each time, minimizing the impact these incidents will have on their respective futures. Edwin (Ed) Orr was born and raised in Columbia, Missouri, is a University of Missouri alumnus, and is the third generation of attorneys in the Orr family. 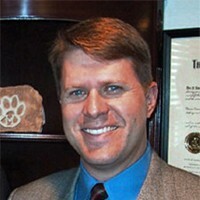 Ed is one of the leading lawyers in Missouri specializing in family and criminal law. Ed’s father, Scott Orr, began practicing law in Columbia in 1966, following in his own father’s footsteps before him. Ed is proud to carry on the family tradition, providing excellent legal representation to Mid Missourians for over 20 years. Edwin C. Orr, Jr., Edwin W. Orr’s grandfather, began practicing law in the State of Missouri (MO). During the late 30’s into the 1960’s, lawyer Edwin C. Orr, Jr. practiced law in the Guitar Building in downtown Columbia, Boone County, Missouri (MO) in the office Suite 417. 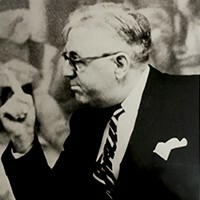 After Edwin C. Orr, Jr. died, his son, attorney Scott Orr, began practicing law in the Guitar Building in downtown Columbia, Boone County, Missouri (MO) in 1966. In 1996, attorney Edwin (Ed) W. Orr continued the Orr Family legacy, practicing law in the same building as his father and grandfather before him. Edwin (Ed) W. Orr is proud to carry on the tradition of practicing general litigation law, representing people in order to help them and solve their legal problems effectively and efficiently. The choice of an attorney is an important decision and should not be solely based on advertising. Free Consultations are offered by The Law Offices of Edwin W. Orr, LLC for Personal Injury Cases only. Disclaimer: The Law Offices of Edwin W. Orr, LLC provides the information in this web site for informational purposes only. The information does not constitute legal advice. The use of this site does not create an attorney-client relationship. Further communication with our attorneys through the web site and e-mail may not be considered as confidential or privileged. Please contact our attorneys if you wish to discuss in more detail the contents of this web site.